Editor’s note: This article is the season intro to our annual Guide to the Season Plays, a booklet of scholarly articles about each and every one of our plays. As always, the guide will be available for purchase for Kindle devices and as a PDF. For the first time, every season ticket holder will also receive a copy of the guide upon subscribing. If you’d like to subscribe, visit ShakespeareTheatre.org/Subscribe. Every classical theatre company operates on what we can call the classical paradox. This paradox rests on two principles: (1) that our classical heritage must be preserved lest it be forgotten, and (2) that this heritage cannot be preserved unless it is continuously expanded, rediscovered and redefined. These two imperatives—seemingly opposed—instead mutually reinforce each other. You cannot have one without the other. 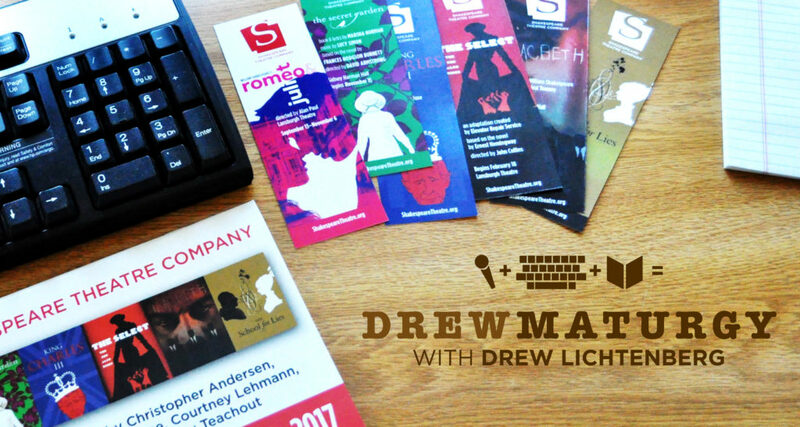 Look at our 2016–2017 Season. Half the titles are familiar: Romeo & Juliet and Macbeth are two of Shakespeare’s most well-known plays, and Frances Hodgson Burnett’s The Secret Garden is a much-beloved children’s book. The other three titles—The Select, King Charles III and The School for Lies—are less familiar, indeed all are brand new works. And yet, upon deeper inspection, the three “classical” titles in the season offer some of the most radical room for reinterpretation, whereas the three new works draw from principles and structures that extend back decades, if not hundreds of years. In other words, all of them operate upon the two-sided principle of classical theatre at its finest. In every work this season, what’s old is new, and what’s new is old. As Courtney Lehmann notes in this issue, the source material for Romeo & Juliet stretches back to ancient times. Dante mentions the feuding Montecchi and the Cappelletti families in his 13th-century Purgatorio; Paris’s name can be traced to the Homeric wooer who started the Trojan War; Ovid, Petrarch and Decameron each had their share in popularizing the “star-crossed lovers” trope since time immemorial. In fact, Shakespeare’s play was not unique even in his own time. His Spanish contemporary, Lope de Vega, wrote The Capulets and the Montagues around 1603 (Shakespeare’s version dates to roughly 1596). If you were alive at the turn of the 17th century and had access to transatlantic travel and a Spanish-English dictionary, you could compare notes on two of the most decorated playwrights of all time, adapting the same story. Despite its ancient roots, however, Lehmann maintains (and I agree) that there is perhaps no Shakespeare play more influential upon our modern culture. Romeo & Juliet has inspired waves of 20th-century imitators, each seeing their own era’s occupations and prejudices reflected in the story’s contours—from West Side Story, which emphatically pushes the play through an American, working-class, immigrant lens, to film adaptations both Baby Boomer (Franco Zeffirelli’s 1968 version) and Generation X (Baz Luhrmann’s 1996 MTVized version). And these are just explicit adaptations. Romeos and Juliets can be seen in practically every Hollywood romance. For example, James Cameron’s Titanic (1997) bases its central narrative around a suspiciously R&J-like love affair featuring Leonardo Dicaprio (Luhrmann’s Romeo, recast here as an Irish sewer rat) opposite a Juliet-like ingénue played by Kate Winslet in full-on Olivia Hussey imitation. In fact, Romeo & Juliet is so seemingly well known that we are blind to its actual radical innovations, as well as its true influence on modern culture and drama. With this play, after all, Shakespeare redefined tragedy as a story about ordinary people—not the exclusive domain of classical heroes and kings. Moreover, it was about teenagers, a whole new social class Shakespeare arguably invents with this play. With Romeo & Juliet, Shakespeare democratized the drama, making it apply to each of us. Shakespeare’s Scottish play also lends itself to a multifocal perspective. It is not just an individual’s story—one of fatal ambition and overreach—or even the story of a complex marriage, alternately loving and chilling. It is above all a story of global implication. The play (one of the first written after the ascension of the Scottish King James to the English throne) traces a narrative of colonial determinism, ending as it does with the annexing of Scotland by neighboring England. David Greig’s Dunsinane, as presented at STC in 2014-2015 by the National Theatre of Scotland, made the contemporary parallels of Shakespeare’s play to Scottish politics clear. Any time a smaller, war-torn country is threatened with military invasion and cultural erasure by a larger neighbor, Macbeth is hovering somewhere in the imaginative ether. In preparation for Liesl Tommy’s production, which will reset the play amid a 21st-century African context, Todd Barnes contextualizes multiple centuries of African and diasporic retellings of Macbeth. Almost all of them, Barnes argues, enlarge upon and falsify history in a manner reminiscent of Shakespeare himself. Barnes also asks us to look closely at the play’s concern with “borrowed robes” and “strange garments,” suggesting that the play’s personal, domestic and colonial concerns are all bound together by the theme of misappropriation. Macbeth has mistook himself for a king; the Macbeths have mistook their murderous ambitions for a healthy marriage; Scotland as a whole has mistaken its English invaders as liberators. Most provocatively, Barnes draws a link between Macbeth and one of his closest historical parallels: the so-called “McIdi,” or Idi Amin, a tyrannical ruler himself dressed in borrowed robes. After 400 years of productions that have focused on the personal aspects of the tragedy, Barnes argues that the time is right for one that draws our attention elsewhere, to larger and more pressing aspects of the play. Mike Bartlett’s King Charles III is one of the most audacious theatrical experiments in recent memory: a Shakespearean history play, employing Shakespeare’s endlessly flexible medium of blank verse (iambic pentameter) to tell the story of the brief but troubled reign of the future King Charles III, our modern-day Prince of Wales. The late Princess Diana is transfigured, in Bartlett’s vision, into a ghost intoning prophecies, much like Hamlet’s Father. The real-life Prince Harry comes to resemble Shakespeare’s Prince Hal, as both venture on prose-filled escapades among the commoners. And Charles himself strikes an awkwardly sympathetic figure, filling the stage with philosophical soliloquies, much like a latter-day Richard II. After award-winning runs on Broadway and the West End, it is coming to the Shakespeare Theatre, where it makes its regional theatre debut. Christopher Andersen writes in this issue of the public pageantry associated with the English kingship—including the ornate theatrical rituals planned for Elizabeth II and Charles in the event of her death. The truth is, however, that nobody knows what will happen when Charles becomes king. Like the controversial behavior of the first and second Charleses, as Andersen explains, this modern Charles’s actions could well cause a constitutional crisis, not unlike the chaos recently unleashed by Brexit. Bartlett’s play casts us, as Shakespeare’s audience once did, in the role not just of onlookers but of dramatis polis. Bartlett forces us to reconsider our own nationhood and our roles therein, and the answers he suggests are alternately resonant and surprising. Speaking of influence: there is perhaps no writer who has proven more influential on 20th-century prose style than Ernest Hemingway. True, Fitzgerald was a master of artful sentences, and the last breath of The Great Gatsby may be the most perfect prose moment of the last century. And yes, Faulkner’s formal experiments opened doorways to the Beats (in The Sound and the Fury) and glanced back to the Old Testament (Absalom, Absalom). These Jazz Age contemporaries have been subject, alongside Hemingway, to pioneering theatrical adaptations by Elevator Repair Service, a key influence on groups such as last season’s Headlong, with their 1984. In this guide, Leslie M. M. Blume tries to make sense of what she terms “this earthquake,” the sudden appearance of Hemingway and The Sun Also Rises on the international literary scene, like a modernist Athena sprung from the head of Zeus. As she explains, it was a mixture of autobiography, of sharp-eyed reportage of his 1920s Paris circle, and that characteristically Hemingwayesque repetition and writerly revision. How he did it, no one knows. But he changed literature forever. As Gretchen H. Gerzina writes, few know much about Frances Hodgson Burnett, the author of The Secret Garden. That her career encompassed fifty-three novels, most of them for grown-ups. That she eventually became the highest paid woman writer in the country. That she was a figure of scandalous gossip (for her marriage to a younger man) and faddish fashionability (with her Little Lord Fauntleroy inspiring mothers across the country to swaddle their children). In this issue, Gerzina outlines a fascinating—and underappreciated—life and career. It is a story of persistence and triumph, of a determined woman employing unconventional methods (such as responding to ads in the back of women’s magazines) to build a writer’s career with real longevity and success. Most of all, Gerzina writes, Burnett’s achievement was a complex and multifaceted one: chronicling a time of profound social change, she kept returning to the image of the Edenic garden. Her art, like all art, is irreducible, a welter of memory, emotions and events. In the wake of last season’s Women’s Voices Theatre Festival—a city-wide celebration of new work by female writers, on a scale unprecedented in this country—STC continues to expand and redefine what “classical” theatre looks and sounds like with our production of Marsha Norman and Lucy Simon’s musical adaptation of Burnett’s beloved children’s book. Rediscovering female writers—historically neglected, written out of history or relegated to “genre author” status (as Gerzina points out, Burnett and Garden were the J.K. Rowling of their day)—is part and parcel of that newfound institutional commitment. On an average of once every other season, for the past six years, Michael Kahn and David Ives have brought one new “transladaptation” of an obscure French neoclassical comedy to the stage. This so-called “David Ives Trilogy,” spanning a century of forgotten works, has been path-breaking for STC and for classical theatre in this country, resulting in the rediscovery of plays such as Pierre Corneille’s The Liar (1643), Jean-François Regnard’s The Heir Apparent (1708), and Alexis Piron’s The Metromaniacs (1738). More than just rediscovering these plays, however, Ives revitalizes them, makes them into the stuff of delirious, sensational, laugh-out-loud entertainment. David doesn’t just translate these plays, in the manner of a scholar. He brings them to life. Like every true translator, he works alongside the original author (not “on” but “with”), taking some liberties in transferring the work to the modern era while unearthing the true spirit of the work. As David has written, “only playwrights should translate plays […] the point is not to carry over sentences from one language to another, but to produce a credible, speakable, playable, produceable play for today.” More than just translating the words, Ives gives these lost plays a voice. It was inevitable, then, that Michael and David would team up on The School for Lies, a curio from the Ives canon. Commissioned by another theatre company, in the middle of completing his “trilogy,” School is a familiar Ivesian “transladaptation,” but it’s of a very well-known play: The Misanthrope, by Molière. Thus, it doesn’t rediscover the original play so much as it functions as an “answer” play to Molière, rather like recent answer plays on our stages such as Greig’s Dunsinane and Farber’s Salomé. The story is retold, but in unfathomable (or, rather, fathomably Ivesian) terms. As Ives might put it, the farce is turned up to eleven, the rhymed verse is surprising and defiantly lowbrow, and the denouement sounds a note of Shakespearean romance rather than French détente. Like the other six plays in the Shakespeare Theatre Company’s 2016-2017 season, then, The School for Lies is a testament to the classical paradox. Preserving the culture through his creative reimagining, Ives and the other authors in our season show us a new way of looking at the past and present, and thus at ourselves. It is our hope that seeing such works onstage can restore an audience’s faith in the ability of a classical theatre to remain relevant. After all, history isn’t just something you read about in a book, but something we all can join in actively shaping, rediscovering and reimagining.